"PBS Show Highlights History, Emotion, & Power of Giving Thanks"
“You brought me home. My family exists today because you saved my life,” a man said while hugging a fellow veteran. That line would sound dramatic enough on a show like NBC’s This is Us, but when it is steeped in reality it’s all the more powerful. Many of us credit a person who helped us a long time ago get started in a career or down a positive path, someone who unexpectedly guided us to success. What if a person helped you in a more profound way or perhaps even saved your life? That’s the concept for the PBS show We’ll Meet Again, a thoroughly touching documentary-style series that helps people involved in critical moments of history tell their stories and find someone who helped them at a particular moment in time. There are so many shows to be thankful for on television, but in that spirit of Thanksgiving and the approaching holiday season, this might be one show that has been overlooked and instead should be on everyone’s must watch list. After a first season last year that reached 15.5 million unique viewers, We’ll Meet Again returned last week for eight new episodes to help enlighten and inspire. And the show successfully does both, becoming a true must watch show for those looking to the genre of television for compelling stories from history and a whole lot of warmth along the way. 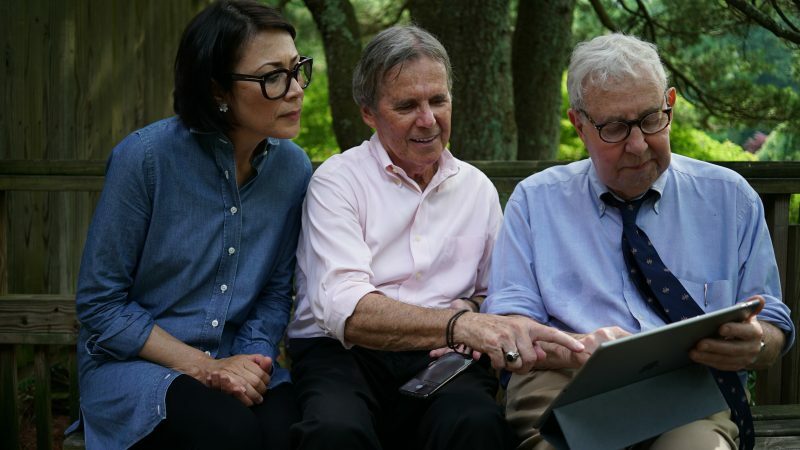 The show follows ordinary people who survived historic moments because of particular strangers they met--and then goes on a quest to find those strangers decades later. 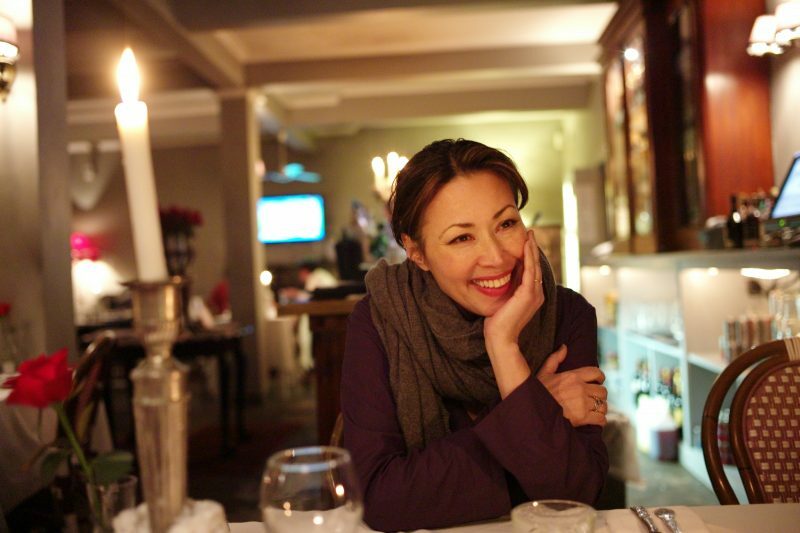 Seven-time Emmy winner and former NBC News journalist and anchor Ann Curry hosts the show. In documentary style, the program highlights historic events by piecing together interviews with the ordinary people selected, family members, acquaintances, and others involved in the event to help showcase not only how the moment in time occurred but how a stranger helped change the person involved forever. Then, the program shows how people have moved on from, but still remember, the historic moment that changed them forever. Once people discuss the stranger who helped them, the quest is on: can the person (with the help of the We’ll Meet Again staff, no doubt) help find his or her guardian angel from the past in order to check in on them, thank them, and share a story or two? The end result becomes a rarity on television: a highly emotional documentary. We marvel at the ordinary Americans chosen for the documentary. Their stories alone are compelling and worth telling. But to see how much their quests to find those who helped them years ago means to them -- and then watch the steps they take to display their thanks so many years afterward -- creates a heart-warming reminder that gratitude is indeed a quality that is essential to all of us. Most episodes seem to feature two separate storylines, with the episode alternating back and forth between the two to provide suspense and interesting narrative storytelling. This year’s first episode, for example, covered two men transformed by the Vietnam war. In the Vietnam episode, we begin by following the story of Dave, who eventually went on three tours of duty in Vietnam. The episode showcases how he changed and “grew up” quickly while also struggling to leave and (on break) rejoin his wife and family at home. He was wounded on his second tour of duty before recovering and being sent back for a third tour. 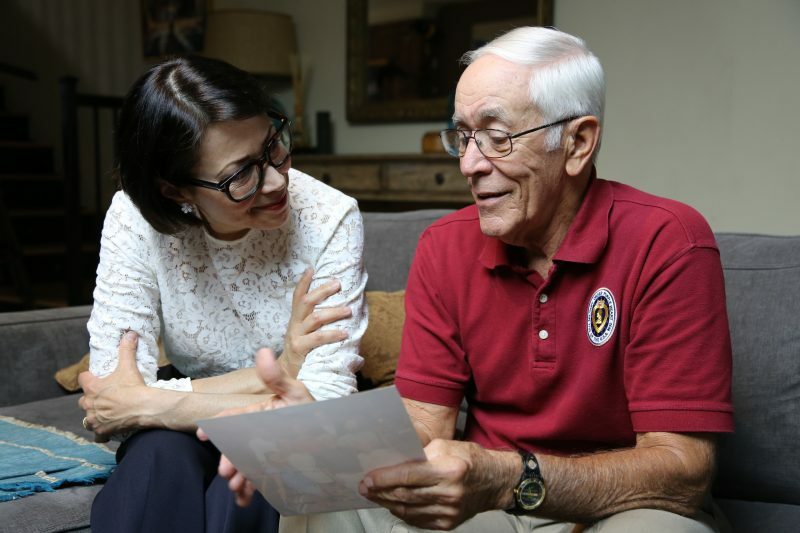 When a helicopter he was riding in got shot down and crash-landed in enemy territory in Cambodia, he thought he would never make it home when his platoon came under heavy fire. But his desperation “Mayday” had been heard by one soldier, a helicopter pilot who single-handedly ignored that they were taking fire from three different areas and landed to help save him and his team. Now, decades later, Dave hopes to find the chopper pilot and thank him. The second storyline features Roger, a “math nerd” who was supposed to be working for the army in Alabama during the war but instead volunteered to go to Vietnam. After being shot through the femoral artery in his leg in 1967 by the enemy while he was training, doctors told him he’d have his leg amputated -- at best -- and could potentially bleed out. When he woke from surgery, a young doctor hadn’t just saved him but had performed a graft surgery that saved his leg as well. The experience transformed his life, and he has waited years in hopes to find the doctor. Curry weaves the personal and professional aspects of this so well. She eloquently serves as the narrator of a documentary, helping to narrate to the audience the stages of the Vietnam War and the importance of the Tet Offensive in US Policy one minute, and then asking the perfect questions of a Vietnam survivor to help create an emotional interview that will resonate with the viewer long after the episode airs in the next. In short, she creates the human and emotional bond often missing from an objective narrator. By genuinely caring for both the topic and the subjects, she helps us become more emotionally invested. In a time when television is cynical and often combative, it’s refreshing to see a program where giving thanks becomes the focus. Throw in keen documentary-making, and the producers have achieved a wonderful niche show that is a genuinely uplifting. In a cool twist of social media use, two of the 8 episodes of this upcoming season will feature people recommended by viewers at the end of last season, found through the #MeetAgainStoriesPBS. If there’s a weakness to the show, it might be the inevitable narrative structure. The story focuses so much on the people looking for those who helped them, that there is less time than expected on the people they discover. I’d love to hear more about those people. In the Vietnam episode, the surgeon who saved the soldier ended up returning to America to perform surgeries until he was 81. He saved hundred of lives in Vietnam. Another minute or two on camera may have provided a bit more of interest for the audience. Yet as a whole the episode is paced well and edited well. It’s hard not to shed a tear at either of the storylines discussed or the resolution the show provides. Future episodes will cover Holocaust Survivors (November 20), the Great Alaskan Earthquake (December 18), the Korean War (December 25), Escape from Cuba (January 1), and the Fight for Women’s Rights (Jan 8). We all have been impacted in positive ways by others, and whether we have reconnected with our benefactors from the past or not, We’ll Meet Again allows us to see some people who are definitely worth meeting when you turn your television set on. Their stories will inspire and delight and make us all reflect on the power of giving thanks. We’ll Meet Again airs on PBS on the next 7 Tuesdays, at 8:00 PM Eastern / 7 Central.